Although in humanities essays, lists are generally run into the text, in other types of material, a vertical list may be preferable. Vertical lists call attention to the items listed, so such lists are often desirable in pedagogical and promotional contexts. 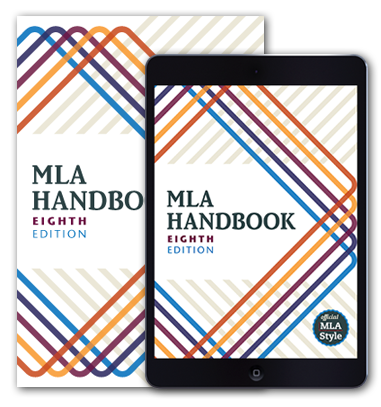 The MLA’s guidelines for styling vertical lists are derived from The Chicago Manual of Style (6.127–132). Below are examples of vertical lists—which may be unnumbered, numbered, or bulleted—and how to introduce, punctuate, and capitalize them. A list may be introduced with a complete sentence followed by a colon, as in the examples below. The items in the list can be composed of complete sentences or fragments but should be consistent in using one or the other method. If the list items are complete sentences, as in the examples below, the first letter of the first word of each item should be capitalized, and the item should be followed by closing punctuation, such as a period or question mark. How can a man embody modern, bourgeois norms of masculinity in a country still strongly tied to the ancien régime? How do aristocratic and bourgeois models of manhood interact with one another in the Spanish realist novel? How are working-class men depicted in Spanish realism? How can we apply Cartagena Calderón’s definition of the crisis of masculinity to the late-nineteenth-century Spanish context? In some contexts, though, you may capitalize the first letter of the first word of each item if you wish to call attention to the items. A list may also start with a sentence continued in the list. No colon should appear before such lists. If the list items are not complete sentences, you can often begin each item with a lowercase letter and use no punctuation after the item. aggregating advocacy news, calls to action, and other resources on the MLA Action Network. Sample lists taken or adapted from the MLA Web site and the following publications: Zachary Erwin’s “Teaching Masculinity in Pardo Bazán’s Novels” (Approaches to Teaching the Writings of Emilia Pardo Bazán, edited by Margot Versteeg and Susan Walter, Modern Language Association of America, 2017, pp. 58–63) and Neema Parvini’s “Historicism ‘By Stealth’: History, Politics, and Power in Richard II and Henry IV” (Approaches to Teaching Shakespeare’s English History Plays, edited by Laurie Ellinghausen, Modern Language Association of America, 2017, pp. 94–99). The Chicago Manual of Style. 17th ed., U of Chicago P, 2017, www.chicagomanualofstyle.org/book/ed17/part2/ch06/psec127.html.